The allure of sleep and dreaming is undeniable, those mysterious necessities that fill a third of our lives (if we’re so lucky). Despite decades of research, there is no comprehensive theory of sleep, why we dream, or why I feel like a slug when I wake up early. It’s no wonder we find them fascinating. What about their key technical assertions? The claim is that polyphasic sleepers substitute several brief naps for a full night’s sleep, allowing them to be awake for more hours per day without ill-effect. Who wouldn’t want to have an extra few hours every day to waste on cat videos? Unfortunately, there is little scientific evidence to back this up. Although several studies have demonstrated that naps can help physical and cognitive performance in the short-term, the most thorough review on napping as a lifestyle is obviously not peer-reviewed. In other words, there is no evidence that well-timed naps will “allow you to sleep less but feel as refreshed as if you slept for 8 hours or more,” as NeuroOn claims. Even if Da Vinci did have a thing for naps, an anecdote or two says nothing about the merits of polyphasic sleep. However, it does convincingly show that NeuroOn approaches science with the same rigor as intelligent designers and anti-vaccine conspiracy theorists. Shameful. You heard it here first. 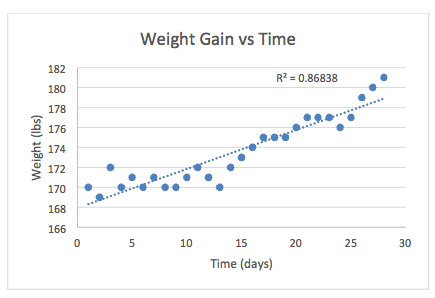 Buy NeuroOn and gain 12 pounds in your first month!! So polyphasic sleep is crap, but maybe you enjoy a good afternoon nap (like your hero Winston Churchill) but hate that groggy sleep inertia that sometimes follows. NeuroOn to the rescue! Can NeuroOn measure these signals with any accuracy? Can these signals be used to distinguish REM from NREM sleep? Those electrodes are supposed to collect meaningful data about eye movements, heart rhythms, and brain activity. To illustrate the challenge that poses, have a look at OpenBCI‘s live demo of their technology. The top two traces correspond to the forehead electrodes on NeuroOn, and I’ve highlighted where the subject blinks in the recording. 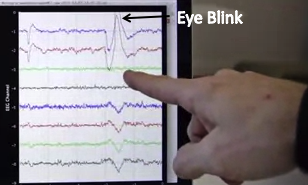 That eye movement artifact is an order of magnitude larger than the rest of the brain signal, and there doesn’t appear to be any heart rhythm data whatsoever. That doesn’t mean NeuroOn couldn’t do it, they just don’t present any data proving that they can. In fact, there are no materials demonstrating their device in action at all. If they could record meaningful data, can they do anything useful with it? The challenge of extracting clinically relevant features from EEG data are well known, though REM from NREM sleep is significantly easier. Is it theoretically possible? Sure. Can NeuroOn do it? If they could, wouldn’t they be showing that off? LUCI demonstrated the public’s overwhelming desire to experience lucid dreams when it raised over $400k. When LUCI fell apart, the door opened for other folks to tap this market. it’s no wonder other folks are jumping into this game, but this much activity?? Damn. Lucid dreams are those in which you are aware that you’re dreaming and can control the experience. There are numerous resources available already, but, oddly, there’s never any acknowledgement of other lucid dreaming masks like Remee (which started on Kickstarter, actually), REM-Dreamer, and others. Inception-like, they pester you during the day to “check your reality,” a habit that should carry over to your dreams. I would find this infuriating, but maybe someone who’s excited about lucid dreaming will feel differently. 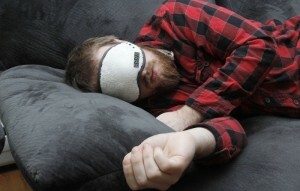 They determine when you’re dreaming (based on EEG, EOG, or other measurement) and issue a subtle alert to the wearer. As described above, although this is theoretically feasible, none of these campaigns have demonstrated the capacity to distinguish REM from NREM sleep. I don’t know if you’ve ever experienced a lucid dream, but, in my experience, they’re exhausting. 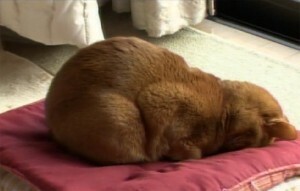 When I’m asleep, I want to sleep. Napwell is a sleep mask combined with a progressive light alarm clock – LEDs in the mask gradually brighten to wake you up when a programmable timer expires. Unlike NeuroOn there’s no nonsense about polyphasic sleep or EEG/EOG/ECG measurements. It does one thing and appears to do it well. The campaign doesn’t address battery life or how a user will know when the batteries need replacement (except that they’ve overslept). There are few details about his plan to ramp up production and no information on how he picked a goal of $30k. At this point, I think we have all learned that willpower and good-intentions are no match for sleep deprivation. (If my sophomore-year “Philosophy of Science” professor is reading this, I am so sorry.) Mythbusters, the final authority on all matters of science, has shown that driving drowsy can be as dangerous as driving drunk, and AAA estimates that drowsy drivers are involved in 12.5% of fatal wrecks. 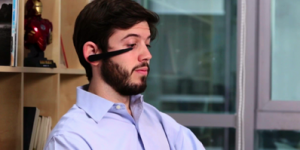 By measuring a user’s eye and head movements, Vigo can quantify user’s alertness and warn them when it begins to sag. It makes intuitive sense, and an algorithm for exactly this was published back in 2003, so there’s no doubt the technology is feasible. Unfortunately, they don’t appear to have their working yet. If they do, they haven’t demonstrated it. From a business standpoint, I’m not sure – Vigo is run by a handful of recent college grads, and it appears to be their first significant project. That said, the prototype looks well designed, and they’ve demonstrated some functionality, so I’d give them the benefit of the doubt. I hope they have plans to port Vigo to Google Glass as well. Everyone wants to get something for free, whether that’s an extra four hours of productive time per day or the ability to consciously manipulate your dreams. Project creators know this, and they take advantage of it. NeuroOn is destined to disappoint – no working prototype, but great marketing and huge promises (you will be the next Da Vinci!). They raised $438k though and have every reason to deliver something, however inadequate. Caveat emptor, I suppose. This entry was posted on Sunday, January 12th, 2014 at 11:59 pm by OccamsChainsaw	and is filed under Mop Up. You can follow any comments to this entry through the RSS 2.0 feed. You can leave a comment, or trackback. I don’t have much to add to how ridiculous that NeuroOn thing is but their prototype is lovely: https://s3.amazonaws.com/ksr/assets/001/503/614/80e0bc92160027ef5a456b591658a8c9_large.jpg?1389107816 …ground plane? Nah, when you’re sampling “signals” for some psuedosience BS you don’t need a ground plane or more than two layers or any other reasonable approach to circuit design. It also looks like it’s soldered by drunk people but again that’s probably alright.